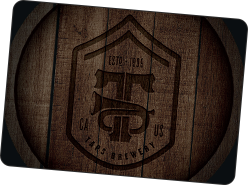 There are two convenient ways to purchase a TAPS BREWERY gift card. Stop by our restaurant to purchase in person. Please provide us with proper shipping information when you securely check out via PayPal. There is an additional $2.50 fee that will be applied during the checkout process.